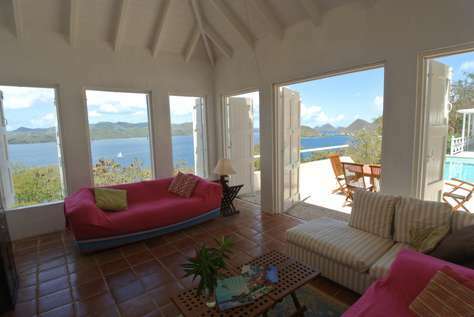 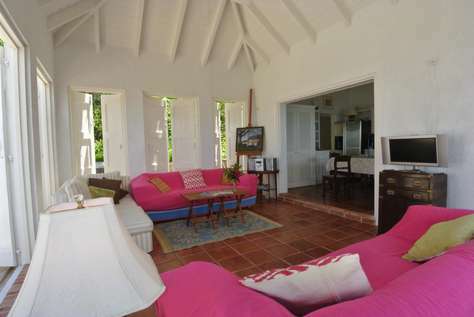 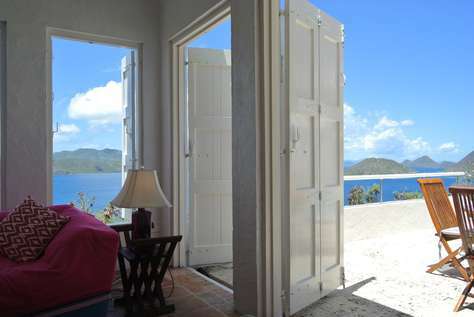 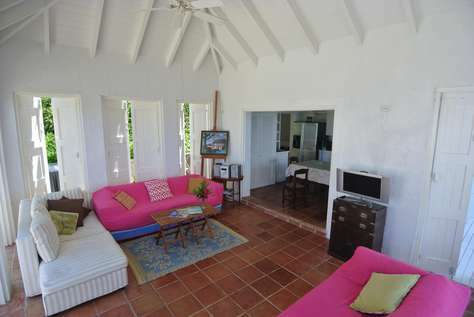 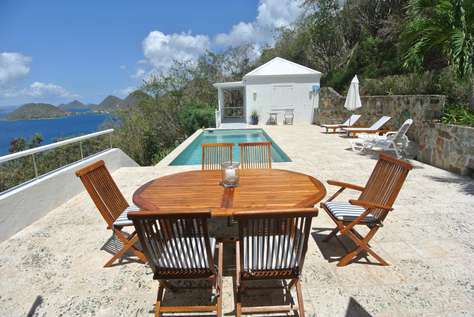 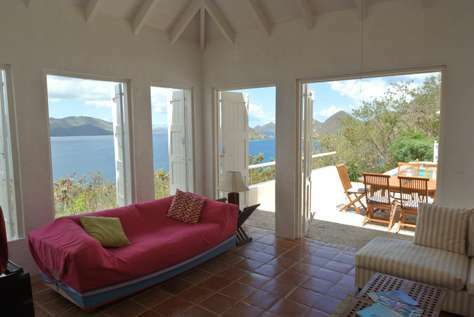 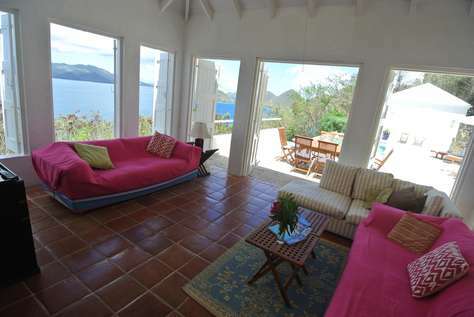 Simple yet elegant this bright and airy villa is defined by its timeless Caribbean style and by the abundance of doors and windows framing the spectacular vistas. 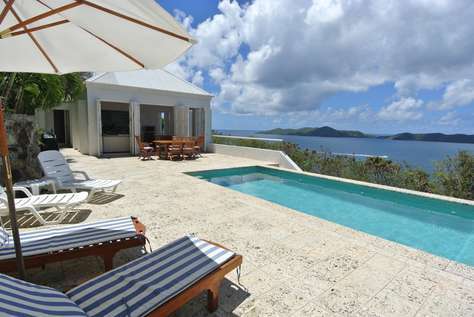 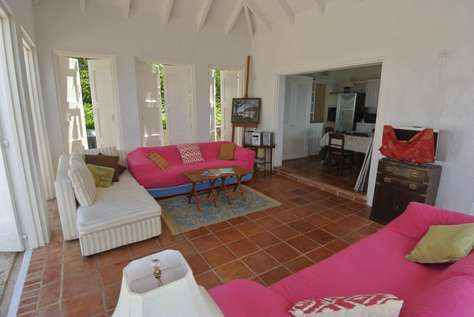 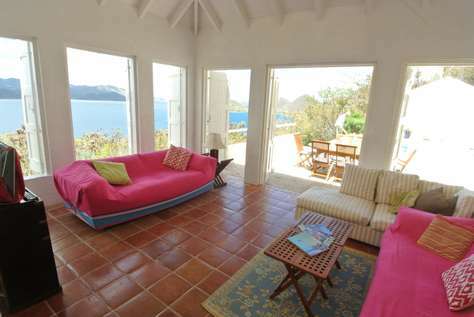 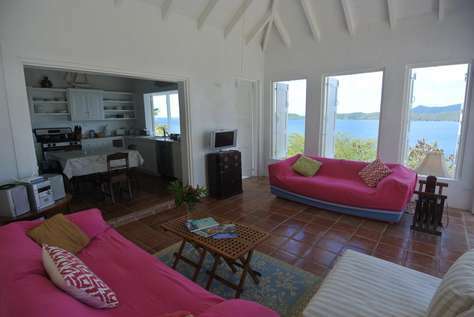 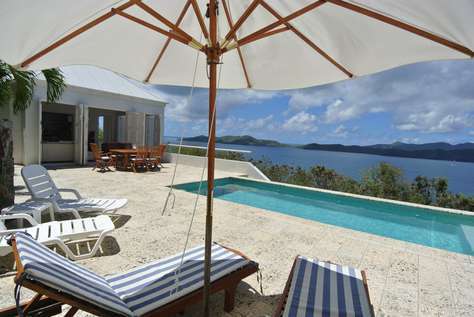 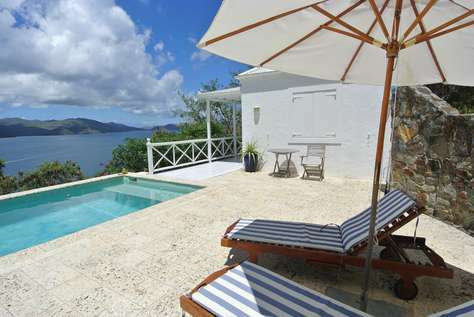 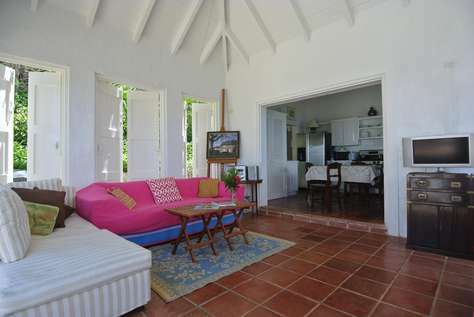 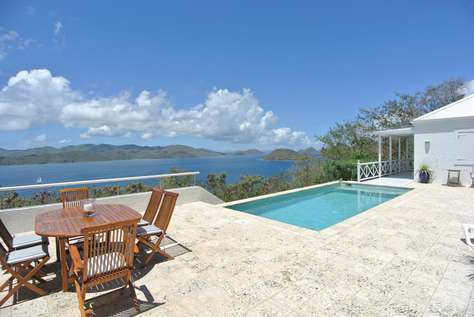 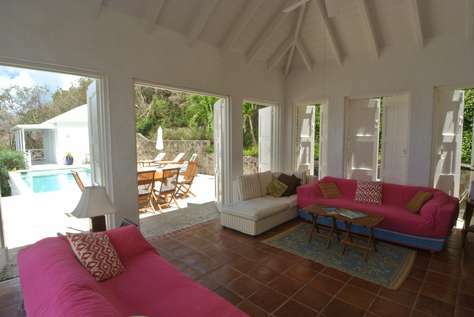 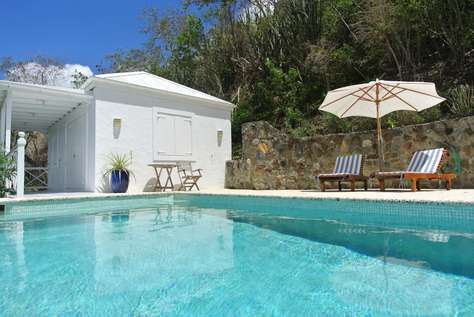 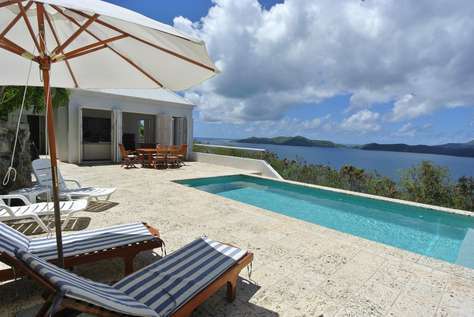 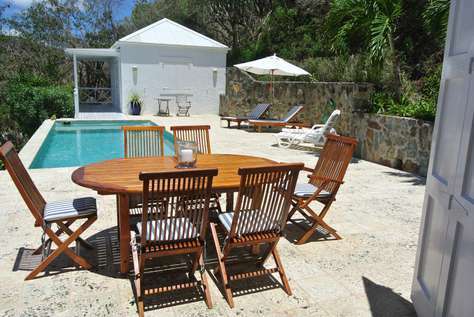 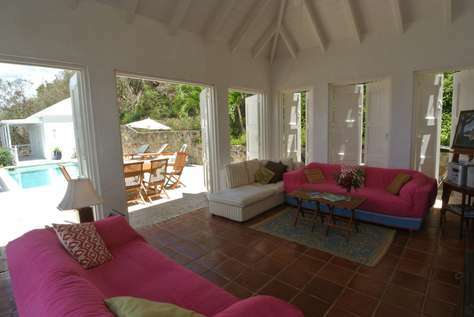 The villa is built as two delightful pavilions separated by a spacious swimming pool terrace. 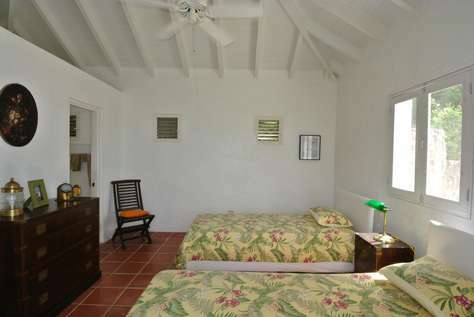 The main house features great room, kitchen and master bedroom suite. 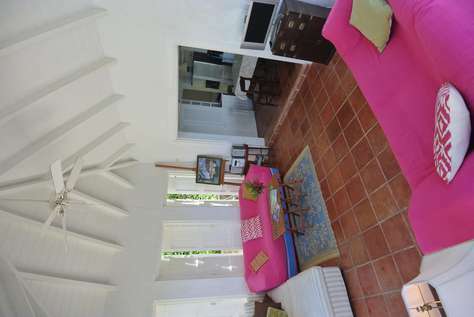 From the parking area coral stone steps lead to the front entrance and a cozy hall which provides access to all the rooms in the house. 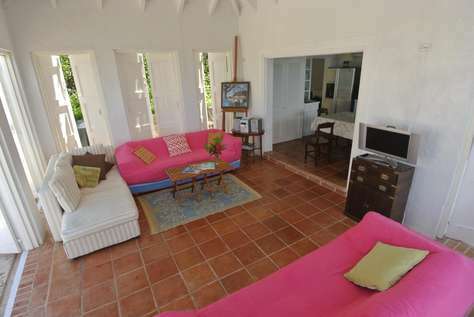 The great room has doors on three sides which open onto the swimming pool terrace and enjoys unobstructed views of the channel and neighbouring islands. 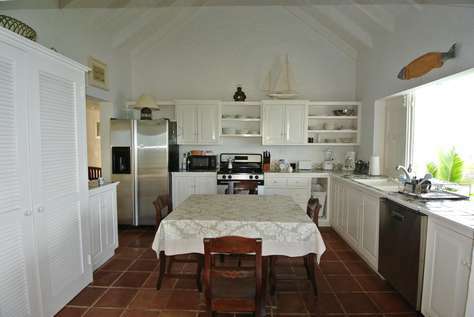 The great room flows into the eat-in kitchen equipped with stainless steel appliances, white cabinets and blue and white tiled countertops. 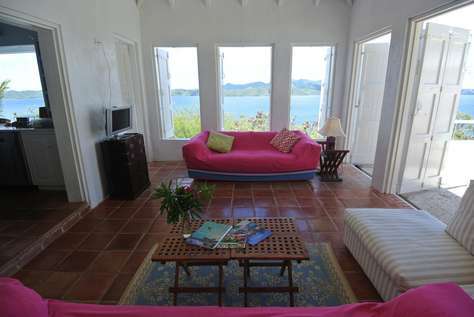 A big window brings natural light and stunning views to this nicely decorated room. 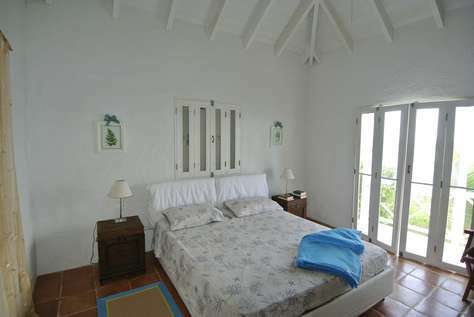 The master bedroom has direct access to a front terrace and is graced by high ceilings and contemporary Italian furnishings. 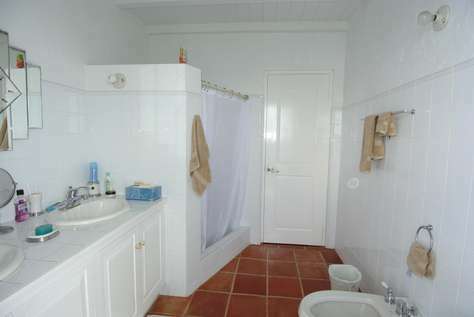 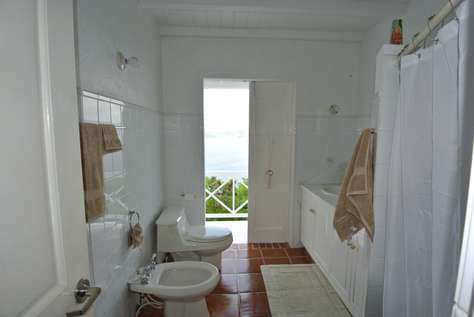 The master bathroom with double vanity, WC, bidet and shower adjoins the bedroom and opens onto a cozy terrace. 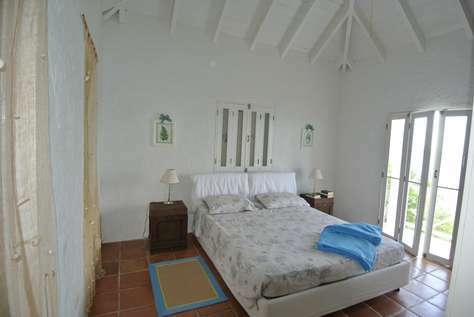 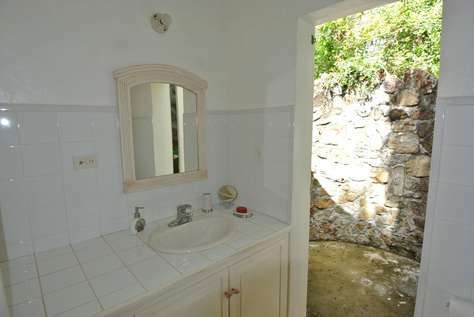 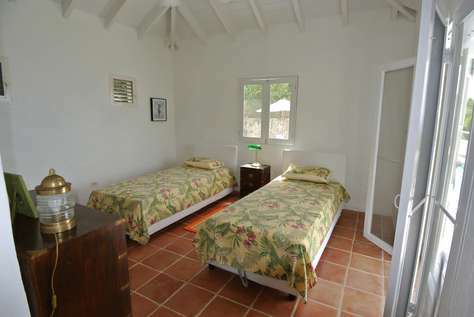 The guest cottage houses a guest bedroom with ensuite bathroom with a stone faced outdoor shower. 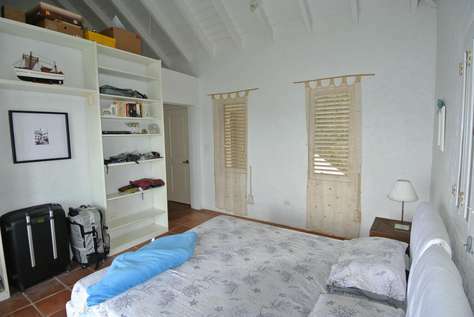 A utility/storage room with washer and dryer is located on the lower level of the property.